You might have heard that Apple has a new phone out…? 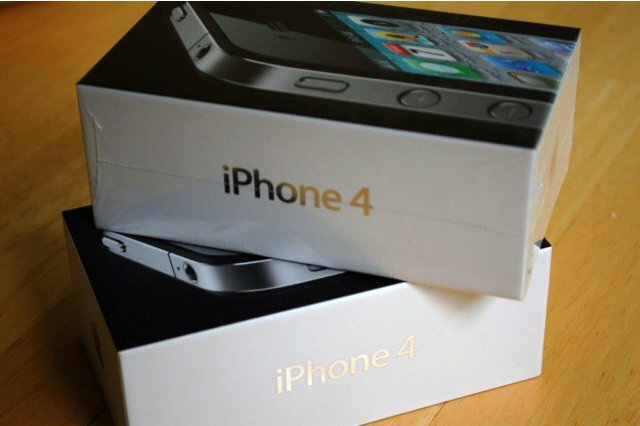 Apple has said that the new iPhone 4 has been its most successful product introduction ever, with 600,000 preorder “registrations” taken and 1.7 million of the devices sold since its launch. That’s pretty impressive, especially with some of the hair-raising problems that went on around the pre-ordering process. We’re not blinded by the numbers however and after a weekend with the iPhone 4 I’ve been given the opportunity to share whether Apple’s new baby is all it’s cracked up to be. First impressions draw you to its new industrial design. Apple has always been great at this, but they’ve outdone themselves this time. Even though the new iPhone is not substantially thinner than its predecessor, it feels much thinner, thanks to its new, flatter shape. The style is quite different that previous iPhones. With no raised “frame” around the screen, glass on both front and back, and a steel band that doubles as the phone’s antenna (reportedly problematically, see below) separating them, this phone is built like the top of a very expensive Danish coffee table, and it’s just as beautiful. The hardware has been well-described here by Brad McCarty, and so far, it’s unquestionably impressive. The speed is indeed significantly faster, thanks to Apple’s home-grown A4 processor, the same one used in the iPad. I noticed this on the initial sync, which took perhaps 90 minutes to fill 32 gigabytes. The doubling of the available RAM—512MB versus the iPhone 3Gs’ 256MB—can’t hurt, either. There’s been a lot of discussion of the so-called “Retina Display” as well. We can confirm that the screen really is quite a lot better than its predecessors, just as advertised. The images are sharper, which is not surprising since the pixel density has almost quadrupled while keeping the display the same size. The colors are brighter and more vivid as well. The stories seem accurate: covering up the little gap in the steel band on the left side, shown above, with finger or skin, the reception will indeed drop, over 15-30 seconds, down to nothing. Uncovering it again, it comes back, about as quickly (or slowly). I’m not sure, but I think I might be seeing the same on WiFi reception, which would make (some) sense if they share the antenna. Anyway, the real cure is to get a case, which most will want to do anyway as the iPhone is a delicate little thing. Interestingly, when I upgraded my iPhone 3Gs to iOS 4 week before last, I started feeling as though I was noticing some different behavior in the phone, particularly an increased tendency to drop calls. This makes me suspect that there’s some bit of code responsible for reporting signal strength to the rest of the system that may not be behaving quite right. And lo and behold, we have reports of a potential software upgrade coming as early as next week which may resolve the issue. Yellow blotches have also been reported in some cases, but we were blessed with nothing of the sort on mine. The blotches are reportedly unevaporated bonding agents—thanks to the speed at which they’re stamping these things out at FoxTech—and disappear after a two or three days. Once you finally get round to trying it out, Facetime is a fascinating experience with impressive video quality. Despite Skype and other video chat tools being around for some time on computers, Facetime is a remarkable step forward and once enabled on 3G and other non-Apple devices – it should really catch on. Software features in the rechristened iOS v. 4.0 operating system are likewise very nice, starting with a unified in-box for all your email accounts, which makes managing multiple emails addresses a lot easier. Additionally, the mail app now supports threading by subject which is a big plus. The camera app is a significant step forward. The app now allows you to indicate the focus point by tapping on the screen as well as bringing up a slider to adjust the 5x digital zoom. Two buttons at the top control whether the back- or front-facing camera is selected and the LED flash, also a new addition. The iPhone 4’s camera is much-improved in resolution, up to 5 megapixels, with the ability to shoot 720p video. A version of iMovie for the iPhone 4 will be available through the App Store for $4.99. While not a real substitute for a point-and-shoot, it’s a big improvement, certainly. An interesting note about the camera is that it uses a “back-illuminated CMOS sensor“, a Sony technology which improves sensitivity while reducing noise. The iPhone 4 camera app, showing the digital zoom slider and the flash (top left) and front/back control (top right) buttons. A focus point can be set by tapping on the screen. There is a new multitasking capability, somewhat like what’s on Palm’s WebOS, but differently managed. Applications never really exit, they go into a “suspended” mode, and can be viewed in a sort of “dock” that appears when you double-click the iPhone main button. GPS navigation, VoIP, streaming music, and some other things can actually be active in the background, but this isn’t generally the case. iOS 4 also adds much-needed folders to the iPhone desktop. Creating a folder is as simple as pressing on an app’s icon until the phone goes into “reorganize” mode, and then dragging one app on top of another one. A folder will be created, which can be named as you like, containing both apps. Additional apps can be dragged onto the folder which can hold a total of twelve. Folders in iOS 4 can hold up to a dozen apps, making organization easier. Our writers did well sorting through the rumors: AT&T tethering: check; camera upgrade: check; better performance: check; HD resolution: check; black and white bezels: check (although wanting white couldn’t get one before next month); no price hike: check; and no joy for Verizon users: check. I have to disagree with my colleague Brad McCarty. This is a very good move forward for Apple, and places more pressure on the Android OEMs, I’d say, who already had their own problems to worry about with competing UIs, differentiation, unequal governance by Google, and other issues. Like the PC industry in the early 90s, while Apple didn’t have the majority of the market, they were the biggest single vendor of PCs in the world (since the DOS world, while larger, was divided up amongst a bazillion companies.) Android is in a similar situation: while they may (eventually) get the raw numbers over the iPhone, it’s unclear that any individual OEM will get enough of that market to do especially well in it. This update will give Apple a continuing lead for six to nine months, easily, unless HTC, Motorola, Samsung or someone else has something very surprising up their sleeves. Between high demand for the iPhone, and low yields on the “Retina Display” from the supplier, Steve has pretty much sewn up the supply of 960×640 capacitive displays for six months or so. Apple does this periodically with NAND Flash memory, and some may recall, did the same thing with the first-generation iPod’s Toshiba disk drives. Steve’s a bright guy. I wonder if he sent a free iPhone 4 to Eric Schmidt. I’d bet ten bucks he did.